FIVE Britons have been killed after their car fell more than 80ft from a bridge into a canal in Sweden. Police spokeswoman Eva Nilsson said the victims are all believed be men aged between 19 and 35. Their bodies were recovered by divers. The deceased are members of the band Viola Beach and their manager. The band were in Sweden to perform at the Where's the Music? festival in Norrköping. The Warrington-based band members were Kris Leonard, River Reeves, Tomas Lowe and Jack Dakin. Their manager, Craig Tarry, is understood to be the fifth person in the car. 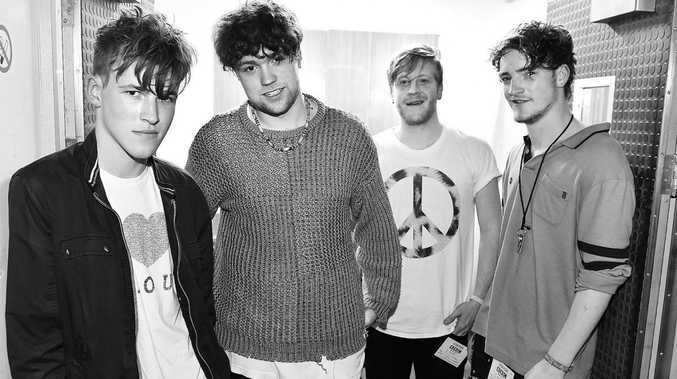 Viola Beach have been championed by BBC Introducing and performed at Reading and Leeds Festival last year. They were due to play a gig in Guildford in Surrey on Saturday. Local reports suggest they died after the car veered off a bridge, smashed into a road barrier and plunged into the water. The crash, which happened on Saturday, is understood to have occurred as the bridge over the Sodertalje canal in Stockholm was closing after being opened to let a vessel through. The bridge has a middle section that rises directly upwards without tilting, leaving a gap that the Nissan Qashqai drove into, Swedish police said. Stockholm police spokesman Martin Bergholm said the road was slippery and it was dark when the car drove off a highway bridge. A barrier, 50m before the opening, has flashing lights and signs warning there is a bridge opening, the officer handling the case said. He added that police were still investigating the cause of the accident on the E4 highway. Inspector Martin Bergholm said: "For some reason, the car drove through the barriers and crashed down into the canal." "The witnesses just saw a car beside them and kind of disappear." Truck driver, Jonny Alexandersson, who was on the other side of the bridge told the Aftonbladet newspaper he heard a loud bang before the car drove past at around 45-50mph and into one of the bridge's beams. Mr Bergholm added it was not yet known whether the men were wearing seatbelts but added: "That would not have helped them." Police received a call at about 2.30am and were first to arrive on the scene around five minutes later. Mr Bergholm said: "Police arrived first, then the fire brigade who came with fire brigade divers at the scene and found the car and three bodies. "We didn't know how many people there were in the car but we found out there were five. Later on, about an hour later, the police divers came and found two more bodies." The men were identified using their passports and Swedish police are working with the Foreign Office global response centre. He said the case would be transferred to a specialist traffic incident team on Monday. Dates for the post-mortem examination have not yet been confirmed. A foreign office spokesman said: "We can confirm that five British Nationals died in a car accident in Sweden on 13 February. "We are in contact with local authorities and supporting the families at this difficult time." Tributes have flooded in online for the band. The Radio 1 DJ, Huw Stephens, said: "The saddest news. Thinking of all their families at this awful time." British band, The Enemy, wrote: "RIP Viola Beach and their manager. Such incredibly tragic and sad news. Thought with the friends and families of all involved x"